CLEARFIELD – It took less than 15 minutes for a jury to find an Allport man guilty of selling marijuana after a trial in Clearfield County Court on Wednesday. Christopher Patrick, 29, 111 Turtle Dr., Allport, was found guilty of delivery of a controlled substance, criminal use of a communication facility, possession of a controlled substance and possession of drug paraphernalia. After the verdict was read, District Attorney William A. Shaw Jr. asked that Patrick’s bail be revoked or increased because now that he was convicted of these crimes, Shaw believed he could flee prior to sentencing. He was especially concerned because Patrick faces additional drug charges, which were filed after a search of his property in October revealed 12 marijuana plants, 20 pounds of processed marijuana, various smoking devices and numerous firearms. Patrick’s attorney, Phillip Masorti, asked Judge Paul E. Cherry to keep Patrick’s bail at $75,000 total for both cases, and added that Patrick needed to be free to help him prepare for that trial. After some thought, Cherry ruled to maintain Patrick’s bail at the current level. The charges in this case stem from an undercover drug buy in November of 2011. 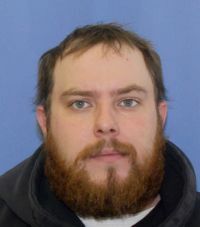 Pennsylvania State Trooper Craig Needham testified that he was contacted by a confidential informant who said he could purchase marijuana from Patrick. The informant arranged the transaction agreeing to meet Patrick at the Summit Grange Hall. Needham said he searched the informant prior to the meeting and found no drugs. The informant was given $60 to purchase the marijuana. He and the informant then traveled to the meeting spot. After a short time, a van appeared which Patrick was driving. It parked next to their vehicle. Patrick talked with the informant through the vehicle’s open windows. Needham heard Patrick say “hey I got your stuff.” Patrick then reached into the console of the van and handed the informant a baggie, which the informant handed directly to Needham. The informant in turn gave Patrick the $60. Before leaving Patrick stated he would have “blueberry kush” at the end of the month, if they were interested in it. Needham returned to the police station where the marijuana was sealed and packaged as evidence. Neal Rerko, a forensic scientist testified that he was the one who analyzed the “vegetable matter” and determined that it was indeed marijuana and weighed five grams. Masorti in defense of Patrick in his opening statements claimed the informant set Patrick up in order to get a break on a burglary charge. He referred to Patrick as an “unsophisticated” man who was off work, taking medication for a back injury and vulnerable for coercion. Masorti told the jury they should acquit Patrick because this was a case of entrapment and “law enforcement failed to properly supervise” the informant. He also questioned the chain of custody of the marijuana after it was logged in as evidence at the police station. Patrick took the stand in his own defense but was not able to explain what the informant had told him about purchasing the marijuana because Shaw objected due to the statements being hearsay. The informant was not available to testify. During his testimony, Patrick said he met with the informant that day because he felt “bad for him.” He admitted to selling him marijuana for $60. For his closing arguments, Masorti was brief pleading to the jury to be fair and asking where the “white elephant” was in this case. Again he referred to the informant who was not seen in court. Shaw in his closing reminded the jury that the informant was not the one who was on trial and stated that the informant’s testimony was not necessary as this was a “pretty straight forward” case.